While attention has been focused on the relatively tiny US „sub-prime“ home mortgage default crisis as the center of the current financial and credit crisis impacting the Anglo-Saxon banking world, a far larger problem is now coming into focus. Sub-prime or high-risk Collateralized Mortgage Obligations, CMOs as they are called, are only the tip of a colossal iceberg of dodgy credits which are beginning to go sour. The next crisis is already beginning in the $62 TRILLION market for Credit Default Swaps. You never heard of them? It's time to take a look, then. As I pointed out in detail in my earlier exclusive series, the Financial Tsunami, Parts I-V, the Credit Default Swap was invented a few years ago by a young Cambridge University mathematics graduate, Blythe Masters, hired by J.P. Morgan Chase Bank in New York . The then-fresh university graduate convinced her bosses at Morgan Chase to develop a revolutionary new risk product, the CDS as it soon became known. A Credit Default Swap is a credit derivative or agreement between two counterparties, in which one makes periodic payments to the other and gets promise of a payoff if a third party defaults. The first party gets credit protection, a kind of insurance, and is called the "buyer." The second party gives credit protection and is called the "seller". The third party, the one that might go bankrupt or default, is known as the "reference entity." CDS's became staggeringly popular as credit risks exploded during the last seven years in the United States . Banks argued that with CDS they could spread risk around the globe. Warren Buffett once described derivatives bought speculatively as "financial weapons of mass destruction." 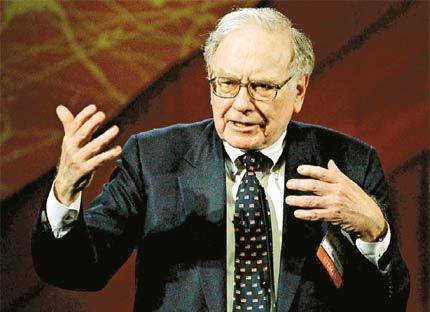 In his Berkshire Hathaway annual report to shareholders he said "Unless derivatives contracts are collateralized or guaranteed, their ultimate value depends on the creditworthiness of the counterparties. In the meantime, though, before a contract is settled, the counterparties record profits and losses -often huge in amount- in their current earnings statements without so much as a penny changing hands. The range of derivatives contracts is limited only by the imagination of man (or sometimes, so it seems, madmen)." A typical CDO is for five years term. A chain reaction of failures in the CDS market could trigger the next global financial crisis. The market is entirely unregulated, and there are no public records showing whether sellers have the assets to pay out if a bond defaults. This so-called counterparty risk is a ticking time bomb. The US Federal Reserve under the ultra-permissive chairman, Alan Greenspan and the US Government's financial regulators allowed the CDS market to develop entirely without any supervision. Greenspan repeatedly testified to skeptical Congressmen that banks are better risk regulators than government bureaucrats. The Fed bailout of Bear Stearns on March 17 was motivated, in part, by a desire to keep the unknown risks of that bank's Credit Default Swaps from setting off a global chain reaction that might have brought the financial system down. The Fed's fear was that because they didn't adequately monitor counterparty risk in credit-default swaps, they had no idea what might happen. 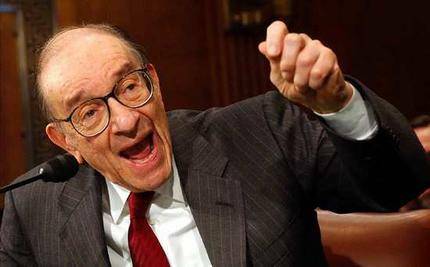 Thank Alan Greenspan for that. Those counterparties include JPMorgan Chase, the largest seller and buyer of CDSs. The credit-default-swap market has been mainly untested until now. The default rate in January 2002, when the swap market was valued at $1.5 trillion, was 10.7 percent, according to Moody's Investors Service. But Fitch Ratings reported in July 2007 that 40 percent of CDS protection sold worldwide was on companies or securities that are rated below investment grade, up from 8 percent in 2002. A surge in corporate defaults will now leave swap buyers trying to collect hundreds of billions of dollars from their counterparties. This will to complicate the financial crisis, triggering numerous disputes and lawsuits, as buyers battle sellers over the technical definition of default - - this requires proving which bond or loan holders weren't paid -- and the amount of payments due. Some fear that could in turn freeze up the financial system. Experts inside the CDS market believe now that the crisis will likely start with hedge funds that will be unable to pay banks for contracts tied to at least $150 billion in defaults. Banks will try to pre-empt this default disaster by demanding hedge funds put up more collateral for potential losses. That will not work as many of the funds won't have the cash to meet the banks' demands for more collateral. Sellers of protection aren't required by law to set aside reserves in the CDS market. While banks ask protection sellers to put up some money when making the trade, there are no industry standards. It would be the equivalent of a licensed insurance company selling insurance protection against hurricane damage with no reserves against potential claims. The Basle Bank for International Settlements, the supervisory organization of the world's major central banks is alarmed at the dangers. The Joint Forum of the Basel Committee on Banking Supervision, an international group of banking, insurance and securities regulators, wrote in April that the trillions of dollars in swaps traded by hedge funds pose a threat to financial markets around the world. Banks have a vested interest in keeping the swaps market opaque, because as dealers, the banks have a high volume of transactions, giving them an edge over other buyers and sellers. Since customers don't necessarily know where the market is, you can charge them much wider profit margins. Banks try to balance the protection they've sold with credit-default swaps they purchase from others, either on the same companies or indexes. They can also create synthetic CDOs, which are packages of credit-default swaps the banks sell to investors to get themselves protection. Now as the economy contracts and bankruptcies spread across the United States and beyond, there's a high probability that many who bought swap protection will wind up in court trying to get their payouts. If things are collapsing left and right, people will use any trick they can. Last year, the Chicago Mercantile Exchange set up a federally regulated, exchange-based market to trade CDSs. So far, it hasn't worked. It's been boycotted by banks, which prefer to continue their trading privately.